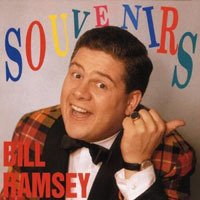 This page contains a translation into English of the lyrics to the kitschy 1963 German hit song "Die Zuckerpuppe aus der Bauchtanztruppe", which was sung by Bill Ramsey. Also included are the original German lyrics so you can sing along if you like. A man is admiring Zuleika, the "sugar doll" from the belly dance troupe, until she lifts her face veil and he discovers she's actually Elfrieda, a woman he knows from his home town! von der ganz Marokko spricht? that everyone in Morocco is talking about? vor dem Babydollgesicht? over her baby doll face? und genau so sieht sie aus. and that's exactly how she looks. da staunt ein jeder, der sie kennt! They amazed everyone who knows them! als Fata Morgana gesehn. seen her in a mirage. blieb bei ihr das Herz fast stehn. nearly stood still because of her. sah mich ohne Pause an. looked at me constantly. die man nicht durchschauen kann. That you can't see through. Suleika, Suleika tanzte auf mich los. Zuleika, Zuleika danced toward me. setzte sich auf meinen Schoß. sat on my lap. da staunt ein jeder, der sie kennt! Everyone who knows her is amazed! was da geschehn. what happened there. rückte näher peu a peu. Came closer, little by little. vor mir plötzlich in die Höh'. right in front of me. kannte ich aus Wuppertal! I knew from Wuppertal! This translation from German to English was created by Shira.